The business benefits of cloud applications are undeniable, however security concerns can still slow their adoption. While many mainstream cloud applications offer secure platforms and excellent security capabilities, much of the security burden is still on you. You still need a strategy and the technology tools to ensure your organization can safely and efficiently utilize these cloud apps. 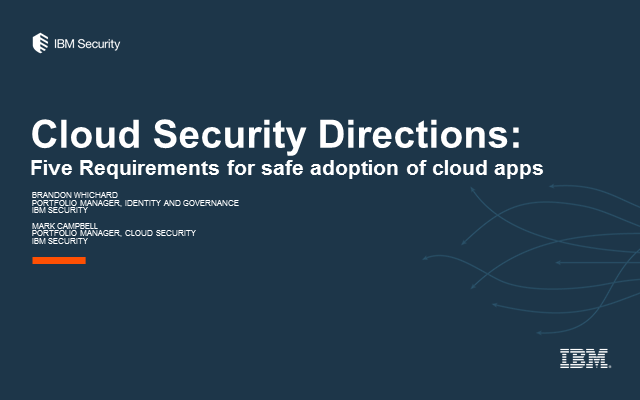 Join IBM Security as we discuss five essential requirements for ensuring safe and efficient adoption of cloud applications.